At this point, it’s pretty safe to say that everything we once knew about cruising has been flipped upside down. Nothing to do but drink and play trivia? Try laser tag, go-karts, and entire waterparks. Short cruises relegated to staid old ships? Not anymore because as Americans have moved towards taking shorter — and more frequent — vacations, cruise lines have responded. And the era of the premium short cruise is upon us. All the good things about a long cruise — in half the time. Once upon a time, if you wanted to take a shorter itinerary, you were stuck on what the cruise lines euphemistically refer to as “seasoned” ships. This was a nice way of saying they were about four more trips to Nassau away from being sold for scrap. Things like WiFi and waterslides were reserved for folks spending more money on longer trips, and if you had an “at-sea” day on your way home, you were relegated to a very long day of $6 beers and child-packed swimming pools. But cruise lines have realized short itineraries are the way to lure people who’ve never cruised before and are moving to put their best foot forward for their short-term guests. Royal Caribbean, for example, recently began its $900 million Royal Amplified program in which older ships are gutted and reimagined with all the modern amenities you’ll find on brand new ones. Those “amplified” ships — complete with stuff like water slides, laser tag, ice-skating rinks, and luxe staterooms — are then sent out on shorter itineraries. 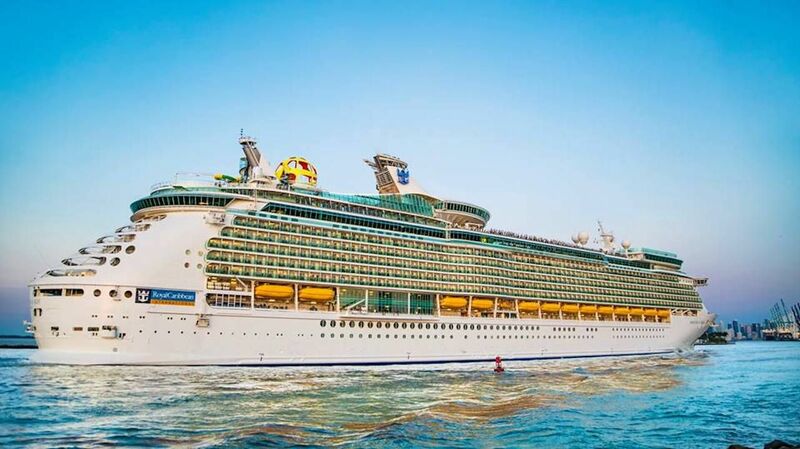 Its latest foray into using premium ships for non-premium routes is Mariner of the Seas, a 1,020-foot, 3,114-passenger ship that had been sailing in Asia. It underwent a complete overhaul last year and now sails short cruises from Miami to the Bahamas. Onboard, it doesn’t feel much different than the headline-grabbing Harmony of the Seas — with a big, open main shopping thoroughfare that feels more like a narrow European street than a Lido Deck. The Mariner also has a tiki bar called The Bamboo Room where a salty old cartoon bird pops up all over the bar making snide comments to the guests, as well as a FlowRider for boogie boarding on the top deck. There’s also an escape room, a modern gym, and even a top-deck virtual reality trampoline park surrounded by a giant plastic globe so you don’t go falling out into the Atlantic Ocean. If the weather isn’t cooperating, the ship also has an ice rink that doubles as a laser-tag arena, plus a sports bar called Playmakers and actually usable WiFi. It’s not so much that you feel like you can’t possibly do it all — but enough that you don’t get bored on a short trip. That difference is the best customer-satisfaction scores in company history, with ticket prices running higher than Royal Caribbean had anticipated. That said, it’s still a pretty affordable short vacation with two-night sailings to the Bahamas starting at $156 and four-night trips at $229. Royal Caribbean isn’t alone in expanding its short cruise offerings. Carnival Cruise Lines, which has made short cruising a cornerstone of its business model, is ramping up its offerings too. Though it’s been sailing massively popular three- to five-day departures from nine ports in four states for decades, like its competitors, Carnival realizes that people use these shorter trips to test cruising out and is improving the product. Next year, Carnival will begin offering four- and five-day voyages on the newly restored Carnival Dream out of Galveston, Texas. Dream has a massive water park and two Guy Fieri restaurants, plus an increased number of balcony staterooms. It’ll be running trips to Mexico next year with four-day prices as low as $309. Cuba drives short cruises, some with open bars. In addition to the already existing short trips from South Florida to the Caribbean and the upcoming Mexico itineraries, Gulliksen also mentioned that Carnival has added short trips to Cuba from Florida and Charleston. And that magical island has become a major part of why short cruises are getting new attention. As the Trump administration tightened restrictions on travel to Cuba, cruising there has become a far easier way of visiting Havana and other ports in the country. As all cruise line tours comply with federal regulations, the logistic hassles of the trip are eased. As a result, 2017 saw over half a million cruise passengers visiting Cuba, up from just over 100,000 in 2016. After experiencing great success with short trips to Cuba, Norwegian Cruise Lines is renovating some of its smaller ships so it can expand service to the island. This year, the newly restored Norwegian Sun began sailing from Port Canaveral to Cuba with four-day cruises, including overnight stays in Havana, starting at $499. Its sister ship, the Norwegian Sky, runs the same route from Miami and will be getting its facelift next year. But Norwegian upped the ante for its competitors on short trips. Knowing that millennials — or anybody else — don’t like being nickel and dimed once they get onboard, the cruise line is offering all-inclusive packages on the Sun and Sky. Those include an open bar. 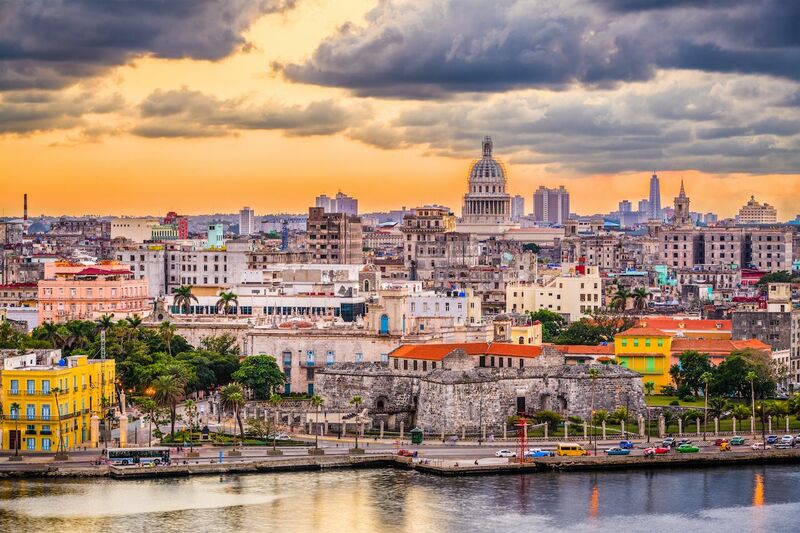 For a weekend trip full of free booze and endless food, plus an overnight in Havana, it’s an itinerary transparently designed to lure young travelers — and an enticing way to get those who have never tried a cruise to give it a short, relatively risk-free shot. Four-day cruises to Cuba may not replace the Eurotrip as the millennial vacation of choice — but cruise lines have done an exceptional job of recognizing that sometimes shorter is better, and of putting just as much effort, attention, and money behind short cruises as they have historically behind longer ones. With more to do, lower prices, and interesting destinations, the hope is that first-time cruisers will take this experience and turn it into a lifetime on the water. Or, at least, that they’ll help spread the message that cruising is nothing like what many still imagine.